Pemco’s EMD F40PH diesel locomotive model appears to take its inspiration from Life-Like’s example. When compare the shells, you’ll find Pemco’s model does sport some variations from Life-Like’s effort. Most notably is the inclusion of a pair of non-prototypical classification lights on the unit’s nose. Over the years, only Amtrak and Burlington Northern models are known to exist from Pemco for its HO-scale F40PH diesel release. 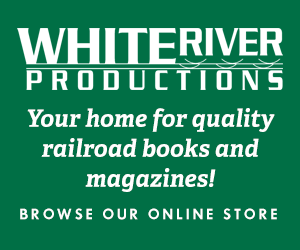 Pemco listed Santa Fe and Union Pacific in the company’s only product catalog, but those examples are not thought to exist. 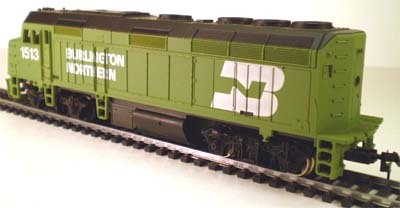 Of additional note, Pemco’s Burlington Northern F40PH serves in what may be the company’s only train set offering. Reviewing Pemco’s shell, one would note it as a close relative to the Life-Like F40PH tooling. The design of the front and rear pilots, the strobe lights and details above the cab on the engine’s roofline, the two tab slots cut into the side of the unit to attach the underframe, as well as the underframe carrying the fuel tanks all mimic Life-Like’s work. As with other Pemco clones, the F40PH is not an exact clone of Life-Like’s unit. Pemco’s model features an odd pair of the classification lights located on the lower portion of the unit’s nose. These lights are not found on Life-Like’s shell. Another interesting addition found only on Pemco’s shell is tread pattern on the walkway of the rear platform. The drive unit is typical of those found on Pemco offerings. One truck is powered by a sidewinder pancake motor located above the wheels. The bottom of the fuel tank reads “F40 DIESEL LOCO NO.3301 PEMCO MADE IN HONG KONG.” Both trucks feature talgo couplers. 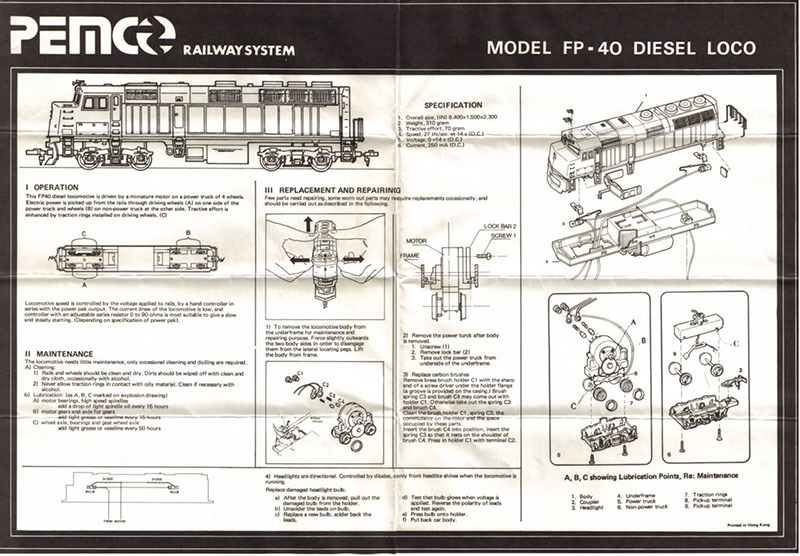 Pemco’s instruction sheet refers to this unit as an “FP-40.” The sticker on the box of my BN F40 also claims the unit is an “FP-40.” Pemco’s catalog does correctly refer to the unit as an “F40PH.” Undecorated examples were produced by Pemco for its Alco 430 and SD-35 models and could possibly exist too for the F40PH, but have not been found to date. From samples appearing over the years, research indicates there is only this one production example of the Pemco Amtrak F40PH. The back of Pemco boxes and the company’s one known catalog display what appears to be the 1970s Life-Like F40PH decorated with Amtrak’s Phase II paint. Pemco’s production model includes Amtrak’s red-nose Phase I paint scheme. Note the backwards “BN” logo in the photo above.